You have to put your litter scoop somewhere, but you don’t want to hang it just anywhere, either. After all, it may look clean but it’s still covered in some cat waste, dirty litter, and all kinds of bacteria. That’s where a cat litter scoop holder comes in handy. We’ve gathered the best litter scoop holders on the market in one convenient list. Each one has its own pros and cons and has earned its place on our list. You’re sure to find one that’s the right fit for you, your cat, and your home. Keep reading to find out more about the best litter scoop holders! The CatGuru Scoop Holder can fit any size litter scoop. So, no matter what scoop you’re using, you’ll be able to store it in this holder. It also features a removable dustpan insert and is weighted so it won’t tip over. Overall, the CatGuru Scoop Holder is the best universal scoop holder since it fits all litter scoops. If you don’t want to take up any floor space with your litter scoop, hanging it from the wall is a great option. But, before you stick an ugly nail into the wall consider the Welldoit Alloy Scooper Holder. It’s easy to install and can hold a variety of cat scoops. If you’re looking for a fast and easy way to get your litter scoop off the ground, the Welldoit Alloy Scooper Holder is the way to go. We can’t help but love Scoopy the Cat Litter Scoop Holder! After all, it’s in the shape of a cat! It’s also made of a washable plastic so that it’s easy to clean. Plus, it allows you to keep your scoop out in the open where it’s convenient to grab, but you don’t have to look at it. Scoopy the Cat Litter Scoop Holder is the cutest way to hide your litter scoop, but you may want to add some weight to it so it doesn’t tip over. One of the reasons the litter box area smells is the waste that clings to the scoop. The SmartyKat Inside Scoop Holder is designed to solve that problem. It’s made completely out of silicon for easy cleaning, and has nubs on which you can easily clean off the scoop when putting it inside. The SmartyKat Inside Scoop Holder will help you keep your litter scoop off the ground and attached to the litter box where it’s convenient for you. If you have a few tools for your cat’s litter box you want to keep organized, the Petlinks Purrfect Order Cat Litter Caddy is the best litter scoop holder for you! It’s got four compartments in which you can keep your scoop, baking soda, a broom and dustpan, and anything else you may want for your litter box area. 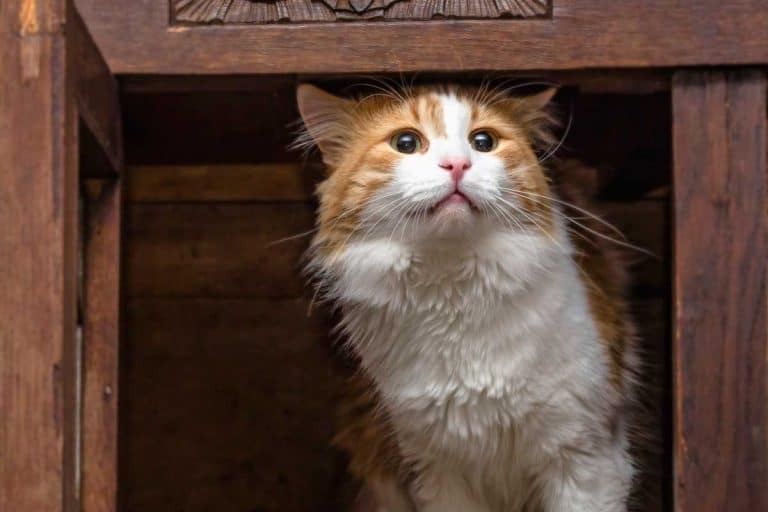 At the end of the day, the Petlinks Purrfect Order Cat Litter Caddy is perfect for anyone that has several litter box supplies they want to keep organized. The Petmate Giant Litter Pan isn’t just one of the largest litter pans available. It also comes with a built-in litter scoop holder. This earns it a place on our list. It actually has two attached compartments so you can store more than just the litter scoop in it. 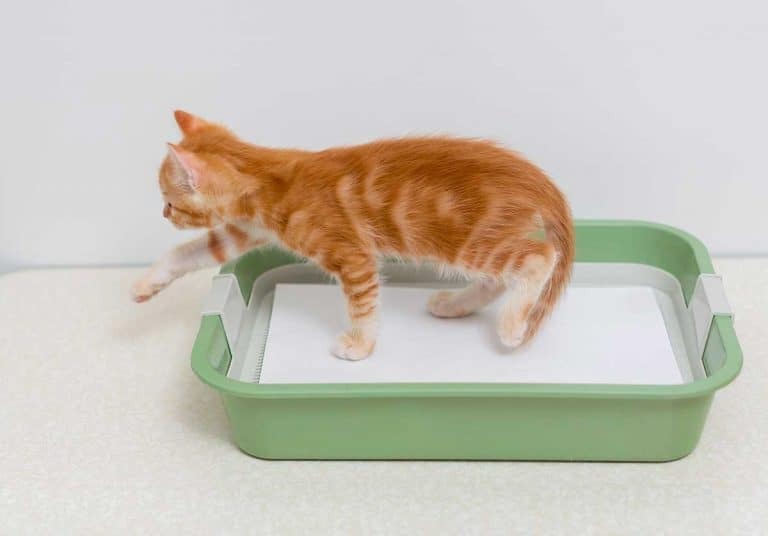 If you’re in the market for a new litter box and a scoop holder, you can kill two birds with one stone with the Petmate Giant Litter Pan. 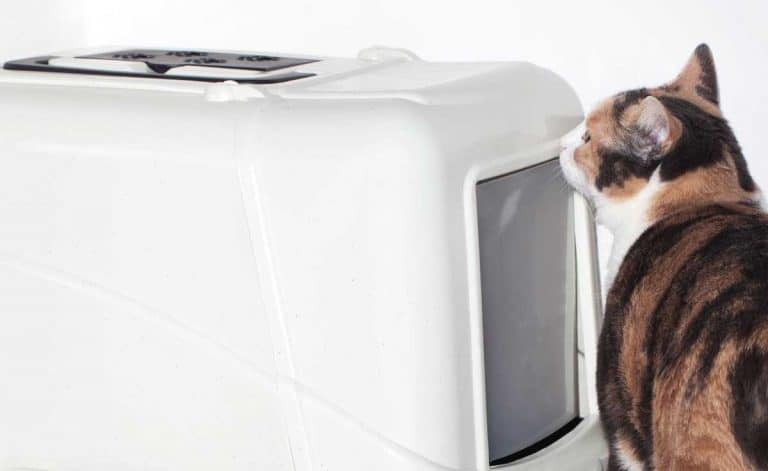 Odor control is something all cat owners have in mind when it comes to the litter box. One way to cut down on odor control is with Nature’s Miracle Antimicrobial Scoop & Caddy. Both the scoop and holder have a special coating to keep odor-causing bacteria at bay. To help keep the litter box area smelling as nice as possible, the Nature’s Miracle Antimicrobial Scoop & Caddy is the way to go. As far as quality goes, nothing beats the Pidan Studio Premium Quality Litter Scoop Set. With a sleek, patented design, this set comes with the scoop holder and a matching litter scoop. It was released only after rigorous testing, so you know you’re getting something nice. If you want a scoop holder with style, the Pidan Studio Premium Quality Litter Scoop Set will give you all that and more. For some people, floor space is valuable, and shouldn’t be used for things like litter scoop holders. That’s where the Shiva Litter Scoop with Holder Set comes in. This set of a scoop and holder is perfect for hanging on the side of nearly any litter pan so you don’t waste your floor space. Overall, the Shiva Litter Scoop with Holder Set is a great option for someone that wants to keep their cat’s litter scoop as close to the litter box as possible. This last entry on our list is much more than just a holder. It’s a complete cleaning set and comes with everything you may need to keep your cat’s litter box area tidy. This caddy comes with a litter scoop, a small broom, and a dust pan. The SRHOME Cat Cleanup Kit helps you stay organized with your cat’s litter box cleaning, which means less work and more time with your cat for you. Hopefully, this list of the best litter scoop holders has already given you some ideas for how you can store your cat litter scoop. 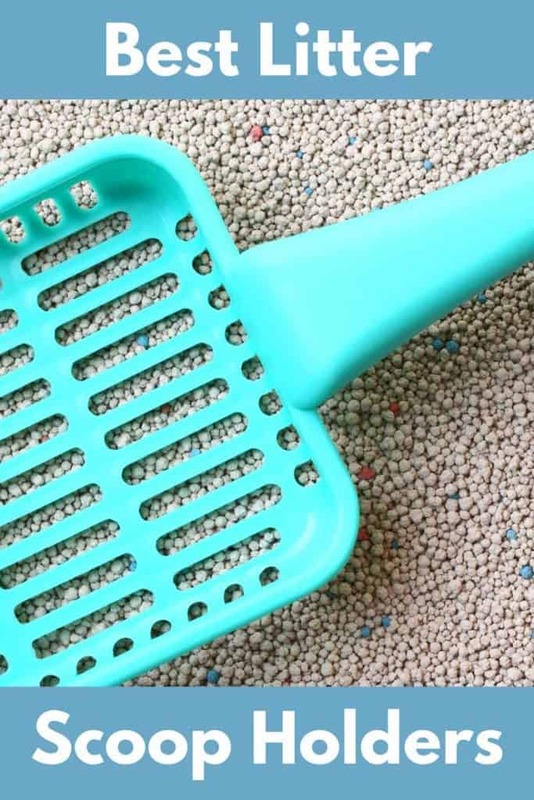 Doing so will help you reduce cat litter odors and will allow you to store your cat litter scoop where it’s most convenient for you. As with most decisions regarding your cat, picking a litter scoop holder is a personal choice. What works best for one person may not be for the next. Do you have the floor space to devote to a litter scoop holder? How important is an aesthetic design to you? Will you be needing additional supplies for your cat litter box? With these things in mind and this list of the best litter scoop holders, you’ll be on your way to being able to enjoy your cat even more.